I have a thing for scripture that is both encouraging and challenging, short and to the point. The kind that packs a punch, stops me in my tracks and makes me think. That’s exactly what Psalm 127:4 does to me. Every time I read it I’m left encouraged but also wondering (and even worrying) if I am doing a good enough job preparing my kids for the big things God has for them. But it’s one thing to worry and another to do something about it so the kids and I have been talking about doing one service project per month starting in February. Last week we got a jump start on Spring cleaning and went through our closets. Instead of putting everything in the goodwill pile we separated the less worn items, added a few new pairs of shorts and jeans from Target and dropped them off at a local NFP that provides new and gently used clothes to low-income and foster children in our area. While it was a great experience and activity for the kids it also sparked meaningful conversations about what, why and how to love others — and not just the friends and family kind of others. Seeing the wheels spinning in their little heads as we chatted was the sweetest and easily my favorite part. We’ll be sharing our adventures in service here each month. We would love for you to join us and also share any kid-friendly service project ideas you have! I’m already a little stumped about what to do in March???? I can’t think of a better way to prepare these adorable yahoos for an abundant and exciting life than to teach them how to serve people and can hardly wait for our next arrow project. P.S. 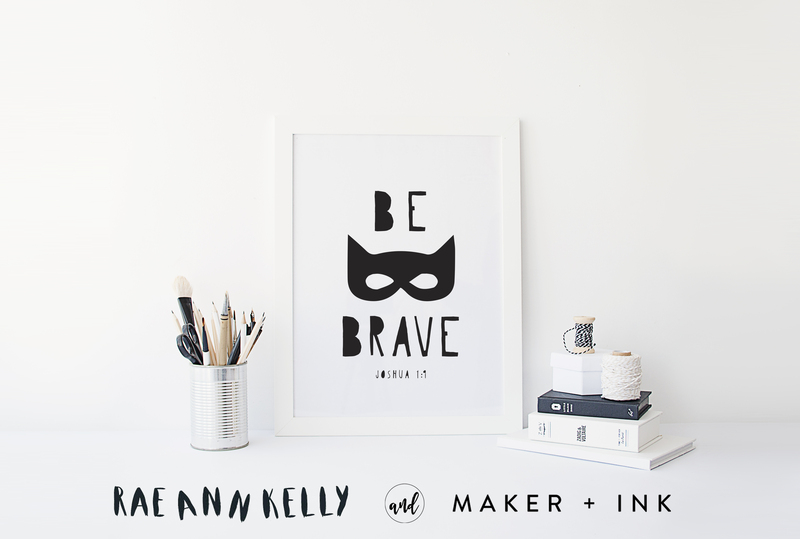 – Don’t forget to enter the $100 giveaway with Maker + Ink by clicking the image below. You can also save 15% on your purchase with code RAE15!!! I love that verse too! I just did a drop off of baby clothes + maternity wear to a local organization for homeless moms (pregnant or with new babies). I loved being able to see that my donation was helping these women in their need right now vs. the drop off at goodwill. Have you read Jen Hatmaker’s book, 7? I think she did a great job of showing that we could serve people’s needs more directly if we connect with the right organizations. Anyway, great post! I’m sure the kids will remember these seemingly little projects for years to come! Rae, I LOVE this project! A couple of years ago when my son was into tornados and wanted to do something to help victims in OK, we sold lemonade as a family and donated the money to the Red Cross. And soon we plan to host a bake sale for “No Kid Hungry”…we saw info on the Food Network about that. My husband and I try to model cheerful giving and it’s amazing to see how our children began to think about ways they can help others on their own.